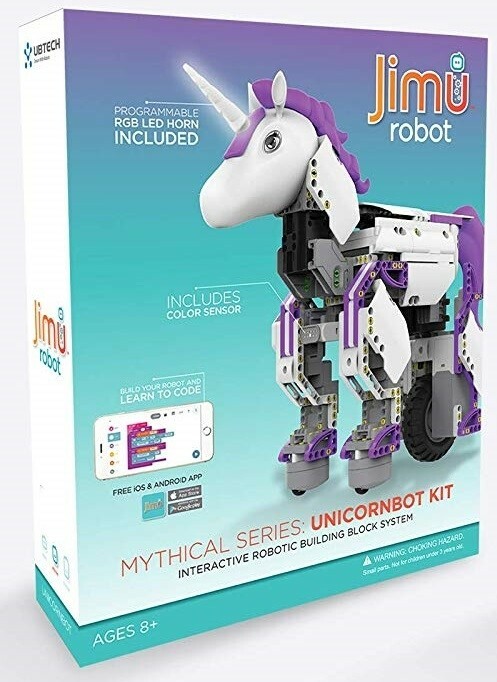 Create your own brilliant Unicornbot, thanks to the magic of JIMU Robot! 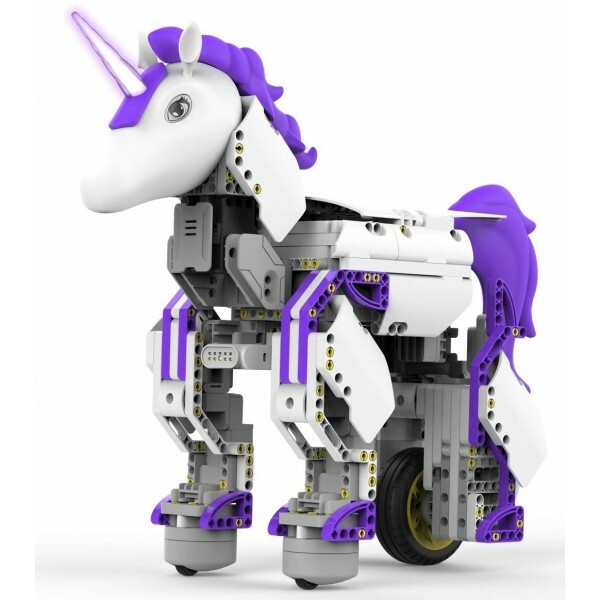 This enchanted unicorn kit has everything needed to create a buildable, codable robot — or invent your own. Download the free JIMU app (compatible with devices using iOS 9.0 and up or Android 5.0 and up) that has step-by-step, 3D, 360° animated building instructions to easily assemble the 440 parts, including servos, a motor, and an RGB light-up horn. 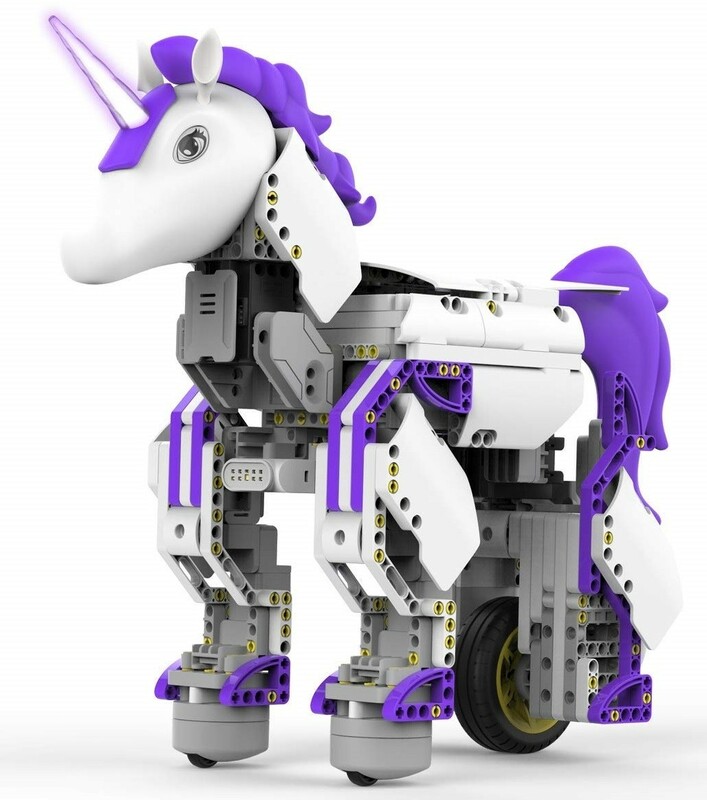 Then, use the Blockly coding platform to teach your Unicornbot to navigate obstacles, perform tasks, and more. JIMU Robot's easy-to-use app is the perfect way to get kids started with building and coding. Smooth motion servos provide significant flexibility and ease of motion for your bot! 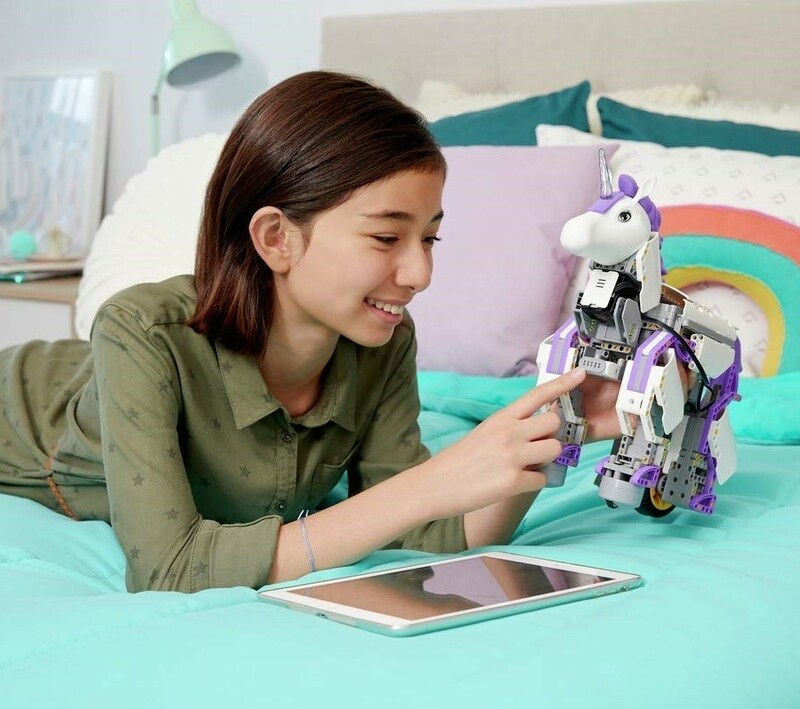 Plus, you can quickly and easily customize your Unicornbot's light-up horn and teach its color sensor to recognize different color cards, so that you can interact with it. Whether you're new to robotics and coding or ready to strike out on your own, this kit is an excellent addition to your toolbox.